Today, this supplement is growing in popularity in the US, and in Japan it is already one of the most widely used supplements. In fact, chlorella use in Japan is more common than our use of vitamin C in the US. So, why is it so popular there? These algae were first heavily studied as a possible mass food source to address food shortage concerns after World War II. It was believed that chlorella could serve as a potential source of food and energy because its photosynthetic efficiency can, in theory, reach 8%, comparable with other highly efficient crops such as sugar cane. It is also considered an attractive potential food source because it is high in protein and other essential nutrients; when dried, it is about 60% easily digested and utilized protein, 9% fat, 22% carbohydrate, 5% fiber, and 9% minerals, vitamins, and chlorophyll. Now, one of the problems with chlorella that slowed down its growth as a superfood until the 1960’s is that the cell wall surrounding chlorella is indigestible, so it needs to be broken in order for you to get the benefits of its nutrients. Chlorella that has gone through a unique process that breaks open the plant's cell wall and unlocks chlorella's nutritional bounty is called cracked-cell or broken-cell. The cracked-cell chlorella provides optimal bioavailability, so you can absorb and digest chlorella's nutrients at high levels. In fact, an independent study showed the digestibility of broken cell wall chlorella to be an astounding 83%. However, the cell wall surrounding chlorella is difficult to digest. It needs to be broken in order for you to get the full benefits of its nutrients. Chlorella that has gone through a unique non-chemical, milling process that breaks open the plant's cell wall and unlocks chlorella's nutritional bounty is called cracked-cell or broken-cell chlorella. The cracked-cell chlorella provides optimal bioavailability, so you can absorb and digest chlorella's nutrients at high levels. In fact, an independent study showed the digestibility of broken cell wall chlorella can reach an astounding 83%. Ounce per ounce, then, Chlorella has more protein than a T-bone steak and more B12 than beef liver, and one of the only known plant sources of vitamin B12 our bodies can digest. Because it is so easy to digest and provides energy and detoxing benefits, Jon Barron always recommends adding a few grams of Sun Chlorella every day to his biannual Liver Detox diet. Studies on chlorella have shown that not only is it a great source of protein and all around nutrition, it also has some very specialized benefits. Chlorella contains more chlorophyll per gram than any other plant on earth. This makes chlorella great for blood cleansing and a great stimulator for the production of red blood cells in the body. In our modern world, our bodies are inundated with unwanted heavy metals and toxins such as mercury, aluminum, lead, and more. From the water we drink to the pesticides in our food supply to the air we breathe polluted with car exhaust and toxins from coal burning power plants, it can often feel like we can’t escape some form of external heavy metal poisons affecting us. The problem with heavy metals is that they accumulate in the body causing numerous health problems that can seriously impact literally every major organ in the body. Studies show that heavy metals in the body may be implicated in everything from Alzheimer's to cardiovascular disease, from behavioral problems to kidney dysfunction, Parkinson's disease, epilepsy, and even paralysis. This is where chlorella shines and is one of the reasons it is often touted as a superfood. Chlorella is a powerful detoxification aid for heavy metals and pesticides. It possesses the capacity to absorb harmful heavy metals. This property has been exploited as a means for treating industrial effluent that contains heavy metals before it is discharged, and to recover the bio-available fraction of the metal in the process. More to the point, in studies undertaken in Germany, high doses of chlorella have been found to be very effective in eliminating heavy metals from the body – from the brain, intestinal wall, muscles, ligaments, connective tissue, and bone. These are some of the reasons why you’ll find it as an ingredient in Jon Barron’s Metal Magic formula. Numerous research projects in the U.S. and Europe indicate that chlorella can also aid the body in breaking down persistent hydrocarbon and metallic toxins such as mercury, cadmium, lead, DDT, and PCB while boosting the immune system’s response. In Japan, interest in chlorella has focused largely on its detoxifying properties -- its ability to remove or neutralize poisonous substances from the body. Especially with the amount of fish they eat in their diet, detoxing is massively important. Chlorella can also stimulate the activity of macrophages and T-cells by increasing interferon levels and enhancing the immune system's ability to combat foreign invaders whether they are viruses, bacteria, chemicals, or foreign proteins. In addition, some studies have shown that after taking chlorella, blood sugar normalizes in cases of hypoglycemia. After learning of all of chlorella’s health benefits, it’s probably no surprise to learn that it is also an ingredient in Jon Barron’s Private Reserve Superfood formula and is sold as a supplement in its own right to help detox heavy metals. You can buy Chlorella in many supplement forms such as powder, tablet, or granulated form. One of the best sources is in an alcohol tincture to preserve its powerful biochemicals, and when mixed with cilantro, it makes a powerful heavy metal chelator. It’s important to note that people prone to allergies to seafood may also display allergies to chlorella iodine levels. Also, make sure you buy it from a trusted source that grows their chlorella in a clean environment – otherwise it may already be carrying toxic metals that it absorbed while being grown. 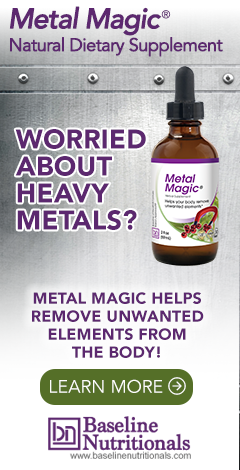 Learn more about the benefits of a heavy metal detox. Hi -- Would you mind following up and discussing the differences between Chlorella, Spirulina, and Blue-Green Algae? Blue-Green Algae in particular has a big debate around it related to toxins and contamination by runoff. I've also often heard that Spirulina has a greater health benefit than Chlorella. Can you discuss all? Thanks! And as for the concerns expressed about the toxins associated with blue green algae, you might find the following information useful. Cyanotoxins are toxins produced by blue green algae. Two kinds have been identified as being especially problematic: microcystins and BMMA. Spirulina is a cyanobacterium that can be consumed by humans and other animals; there are two species, Arthrospira platensis and Arthrospira maxima. Microcystins are a class of toxins produced by bacteria associated with certain freshwater strains of cyanobacteria: primarily Microcystis aeruginosa but also other microcystins, as well as members of the Planktothrix, Anabaena, Oscillatoria and Nostoc genii. The important point here, though, is that Arthrospira platensis and Arthrospira maxima (i.e. spirulina) are not included in that list. Spirulina is not associated with microcystins. Now, unlike microcystins, BMAA is not an external toxin. It is a non-protein amino acid. This means, that unlike the 20 amino acids that our bodies use to make proteins, BMAA does not make a human protein. Yes, like microcystins, BMAA is found in some cyanobacteria which are usually found in waterways as well as damp soil and on the roots of cycad plants. And it is also found in algae blooms and in the fish living near those blooms. But again, as with microcystins, spirulina is not included in the list of 30 types of cyanobacteria that tested positive for BMMA in the study that brought BMAA to everyone’s attention. (See table 2). And finally, keep in mind that spirulina has been consumed in large quantities within the health community for decades now. The diseases associated with microcystins tend to be associated with the population at large, not with the natural health community. Probably worth considering. Just buy your green foods from reputable companies. Hi! I'm from Asia and we have vitamins and supplements that promotes chlorella as a growth factor enhancer. Is there any truth to this? Thanks! Chlorella growth factor (CGF) is real, and it does have health benefits—particularly for the immune system. Some of the other purported benefits, however, are a bit more subjective as they lack any scientific studies to support them. But that doesn’t change the value of chlorella as a supplement. Some of the benefits attributed to CGF may simply be the result of ingesting chlorella as a whole since that’s how most people get their CGF.